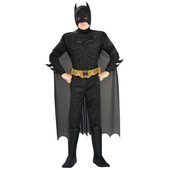 Kids Dark Knight Batman costume features a black jumpsuit with screen print detailing on the front and attached boot tops. 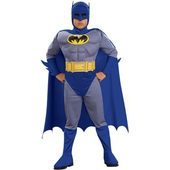 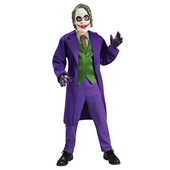 The costume also includes a matching cape, a yellow bat belt and a character mask to complete the superhero look. 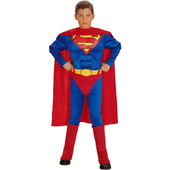 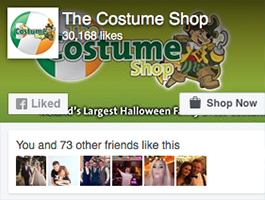 Length of costume; 36" from shoulder to ankle. 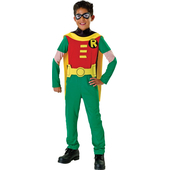 Length of costume: 131cm from shoulder to foot. 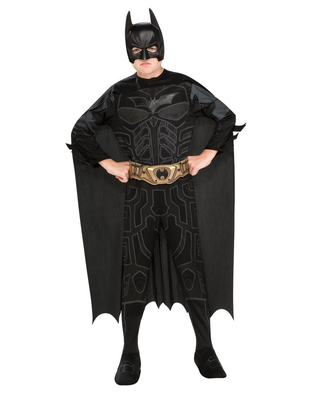 Length of costume: 134cm from shoulder to ankle.